The clear and thorough lines of the Aicon 64 Fly motor yacht are unmistakable in term of style. 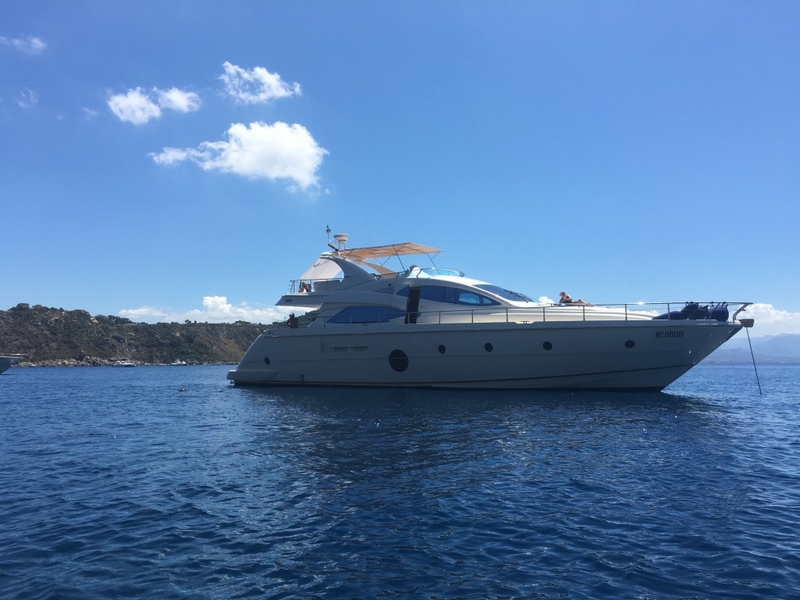 The Marilyn Aicon 64 fly, 4 cabins motor yacht Sicily, is relaxed and harmonious with a light, contemporary and elegant interior design complimented by a smart layout and design. 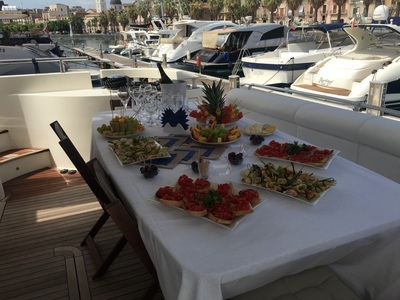 Her internal salon, lounge and dining is filled with natural light to allow guests to enjoy the best of the Mediterranean.Outside, alfresco dining is available on the main aft deck and the flydeck provides additional comfort for entertaining or relaxing. The Aicon 64 Aeolian Islands is a beautifully yacht, designed in Italy. 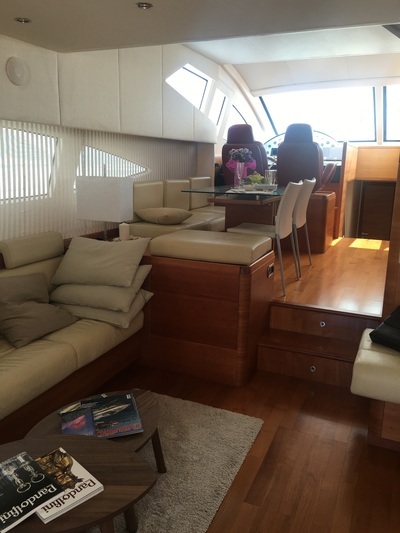 She has a modern and sleek design with a cruising speed of 27 knots. 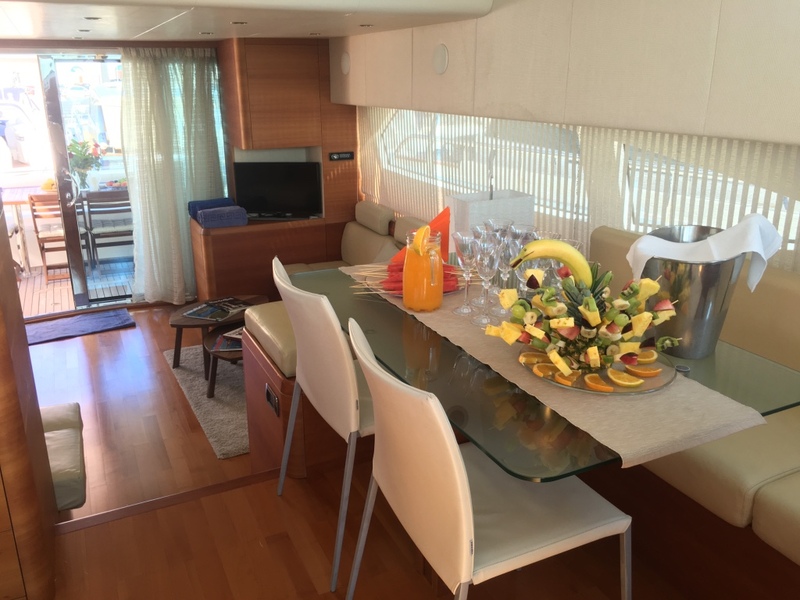 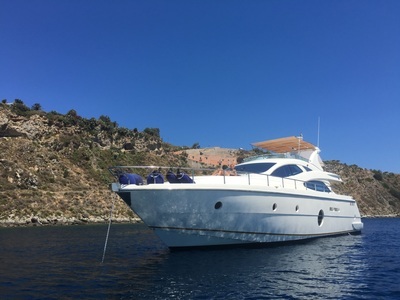 If your dream is to cruise Southern Italy and charter the most luxury motor boat in the Aeolian Islands, yacht Aicon 64 Sicily is the one for you.